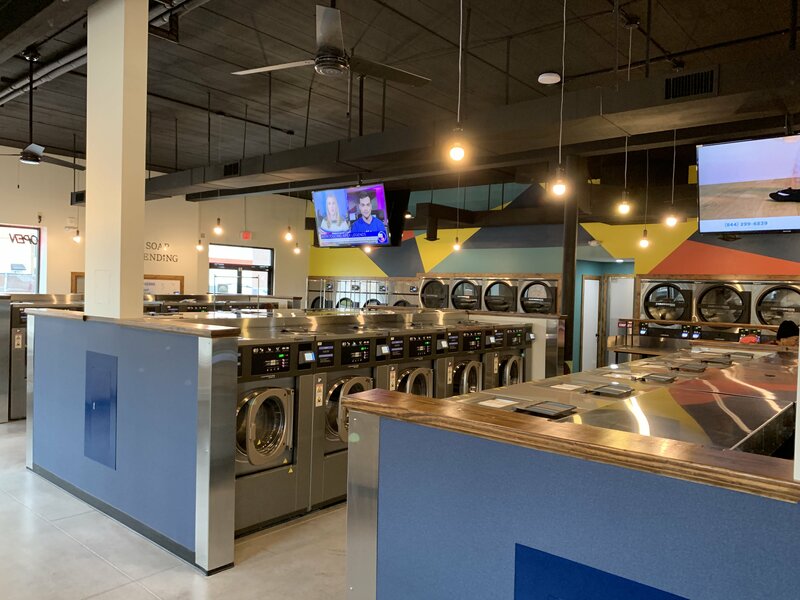 Family owned & operated companies bring card-operated laundromat to Akron, Ohio. City Cleaners, laundry and dry cleaning, has been serving the Akron area for over 130 years. 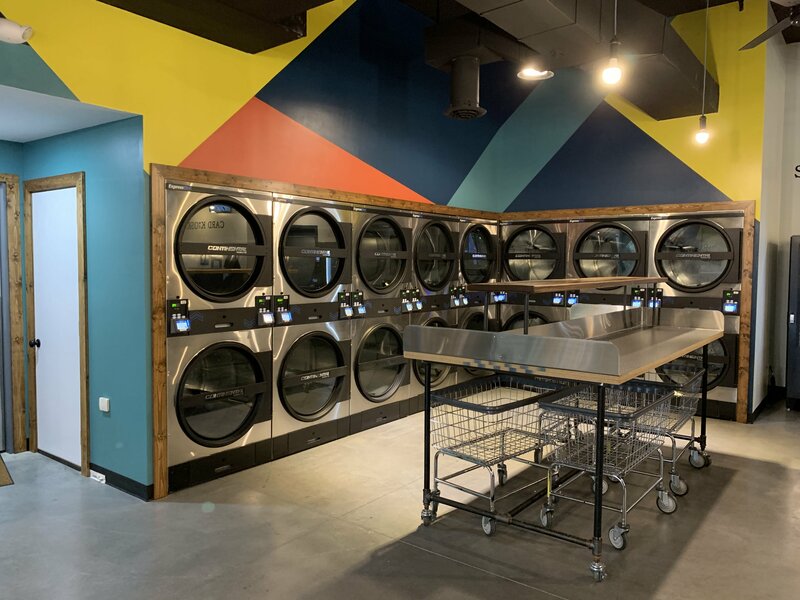 Third & fourth generation owners, Richard & Jeff Sitz began to evaluate the possibility of a self-service laundromat after an adjacent space to their West Market Street headquarters became vacant. Over a few months, Scott Vlahos of Advantage Equipment, assisted Sitz with the space’s renovation, layout, and redesign. After partnering with Advantage Equipment, Vlahos began helping Sitz with the development of the vacant space. Prior to becoming a modern laundromat, the space had been an electronics repair business, and a series of bank branches including U.S. Bank, Star Bank, and TransOhio. With the Wallhaven area being fairly contemporary, Sitz planned a complete rehab of the building to get the location ready for customers. In addition, Sitz added large flat-screen TVs, free WiFi, a freshly painted accent wall. 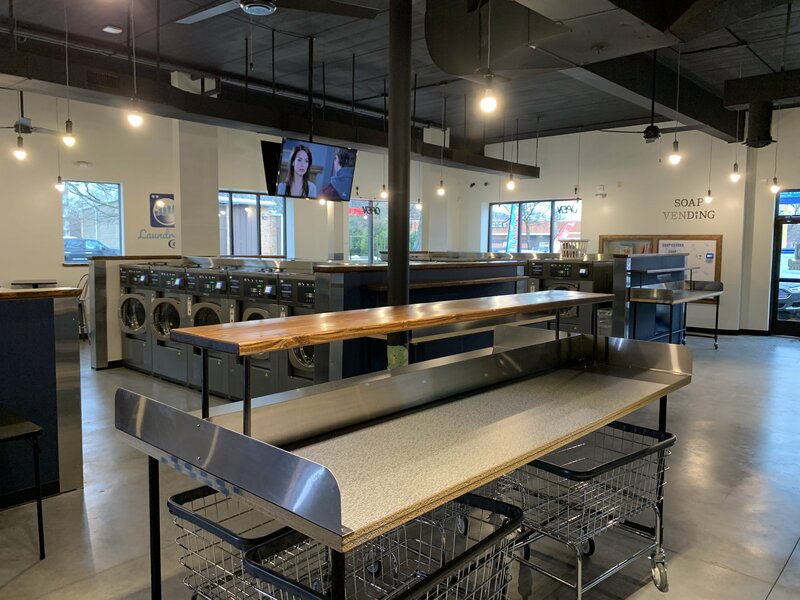 Combined with natural dark wood and stainless steel tables, these changes helped create a modern yet comfortable space for the laundromat. Adding low lighting and exposed ceiling makes the facility feel like it belongs in trendy Wallhaven. Additionally, Sitz placed large windows on W. Exchange street to increase store visibility. 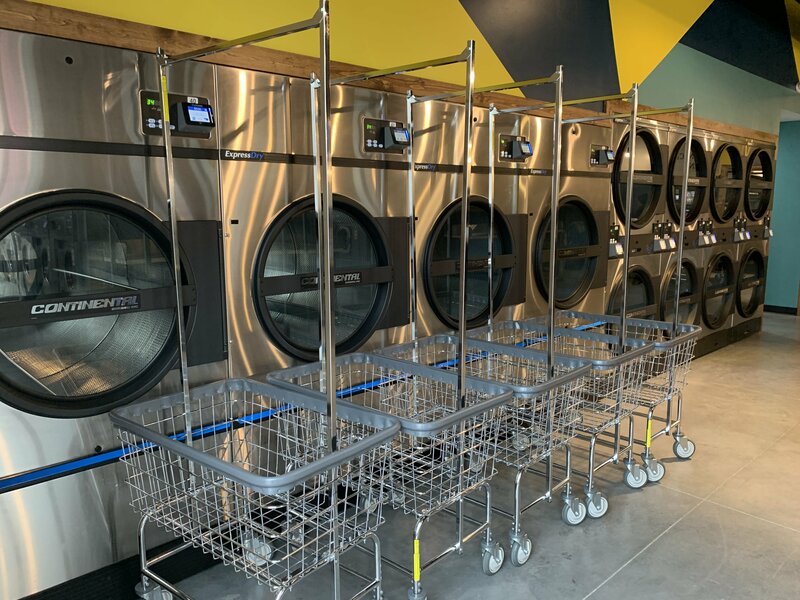 Throughout the entire process, the Advantage Equipment team worked hand-in-hand with Sitz to ensure the laundromat build-out process was as seemless as posisble. We decided to go with Continental Girbau and Advantage Equipment because we know how important relationship with the distributor is. We’ve been in the dry cleaning business for over 130 years, but this was my first venture into a laundromat. Scott Vlahos and his team were very helpful in showing us what to expect and to accurately set our expectations. We look forward to working together on our next project. The Soft-Mount ExpressWash Washers ensure a 60-minute self-service wash/dry/fold process. 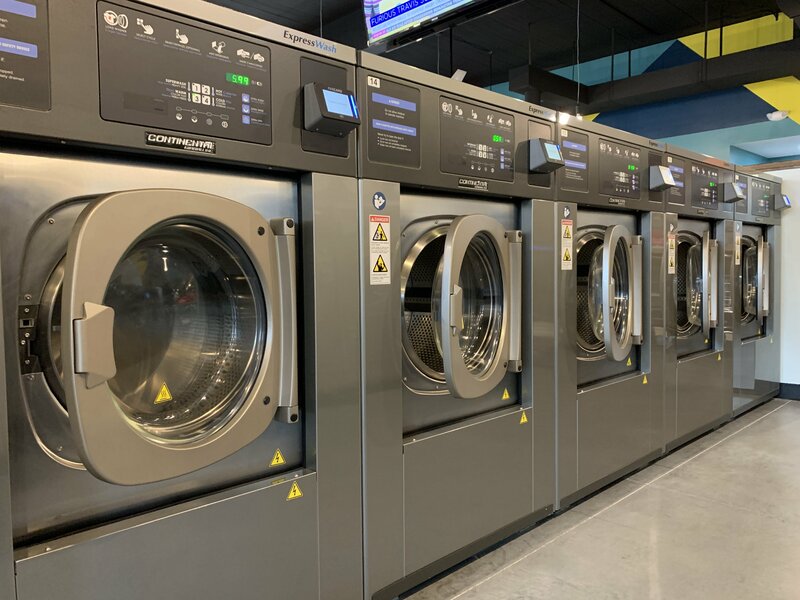 All of this is done while having a lower installation cost, lower ongoing utilities, improved customer turnover, and boosted profit potential through additional wash, rinse, and spins options on each machine. 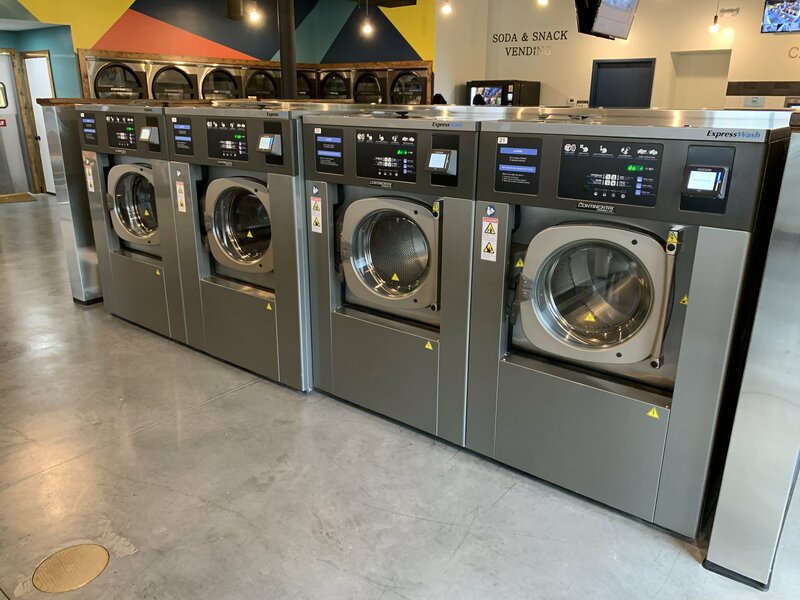 The commercial washers are capable of reaching extract speeds of up to 400 G-Force which is substantially higher than the 75-200 G-Force hard-mount machines found in neighboring laundromats. In doing so, according to Vlahos, ExpressWash Washers remove more water during extract, which decreases dry time by up to 50 percent! The benefits of soft-mount ExpressWash Washers are remarkable. High-speed extract improves customer throughput – getting customers in and out in under an hour – which works to boost profit potential. In addition, it also creates a better customer experience since they are spending less time waiting for their items to dry. 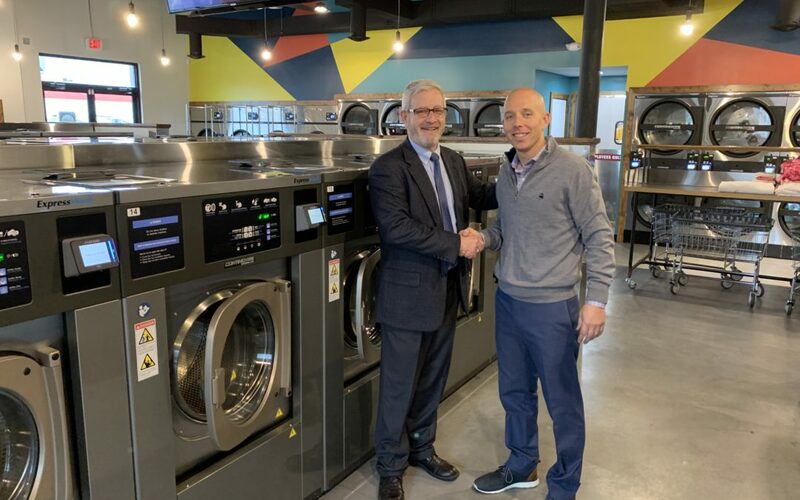 Scott Vlahos, Founder & Owner, Advantage Equipment, Inc.
Further breaking the laundromat stigma, Laundromat City also features Card Concepts FasCard system. The FasCard system enables customers to start a machine one of three ways; loyalty card (loaded through kiosks with cash or credit/debit card), credit/debit at the machine, or mobile payment through the FasCard app. The FasCard system interfaces seamlessly with Continental Girbau’s commercial laundry equipment. It’s easy to tweak programs for additional water and energy savings. Customer’s are able to view machine availability, receive alerts when their load is finished, and much more. Continental Girbau E-Series Vended Soft-Mount Commercial Washers: 12x EH020X (20lbs. ), 10x EH040X (40lbs. ), 4x EH060X (60lbs. ), and 4x EH080X (80lbs.). Continental Girbau ExpressDry Vended Commercial Dryers: 12x ExpressDry SuperStack90 (two 45lb. pockets) and 4x ExpressDry75 (single pocket 75lb. dryer). Card Payment System: Card Concepts FastCard Loyalty Card & Debit/Credit acceptance. Whether you’re a current story owner looking to retool, or a brand new investor, the Advantage Equipment team is dedicated to your coin or card laundromat success. We partner with you to find favorable locations, and give you the adequate training needed to run your laundry operation. 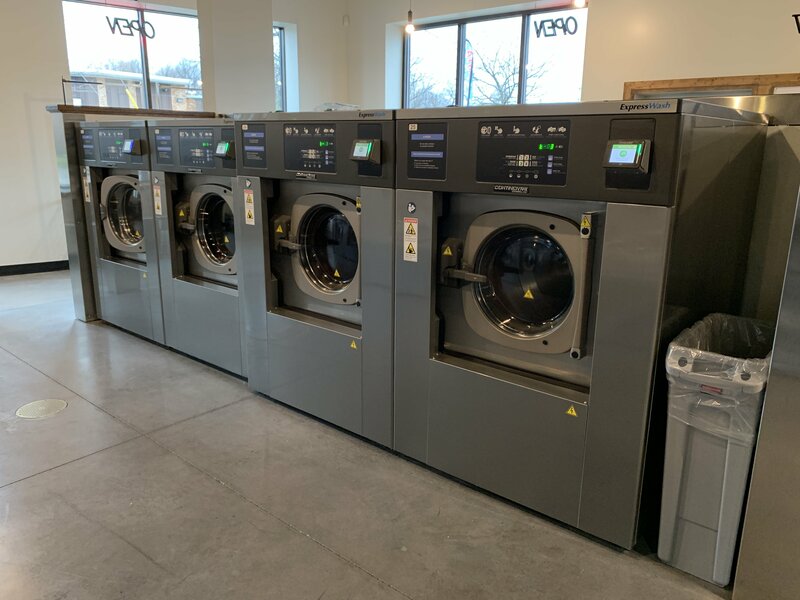 We’ve been working with a variety of investors since 1996 to place laundromats all over the Ohio, Western Pennsylvania, and West Virginia markets! Learn more about why investors partner with Advantage Equipment to make their investment dream, a reality! 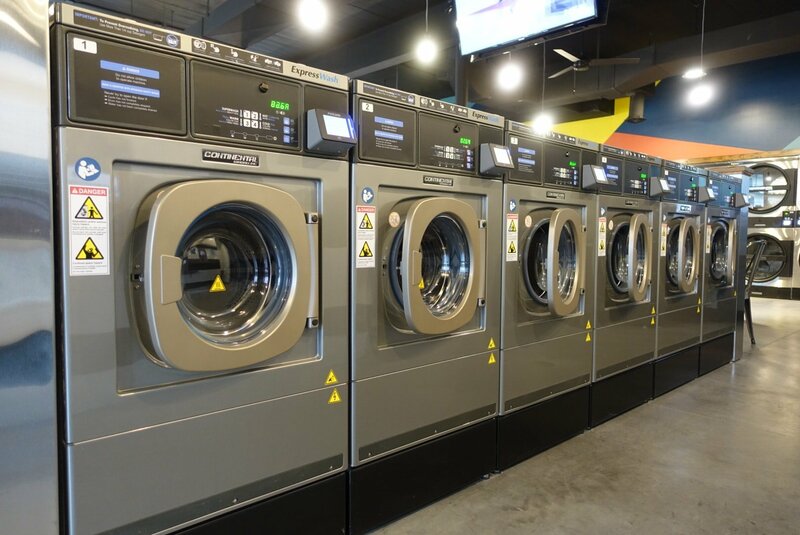 Interested In Learning More About Investing In A Laundromat? Let us help!